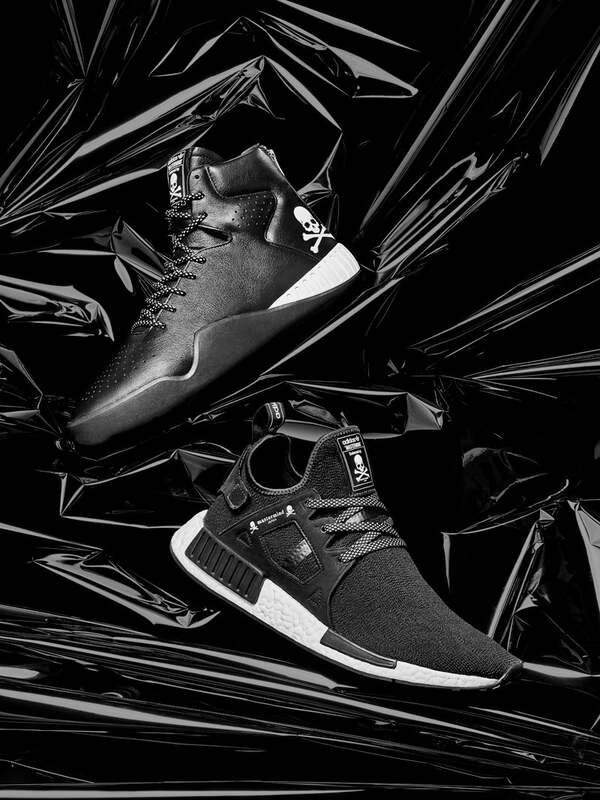 adidas Originals presents a brand new release with Mastermind Japan for Fall/Winter 2016, collaborating with the revered Japanese fashion label on two exclusive footwear silhouettes. 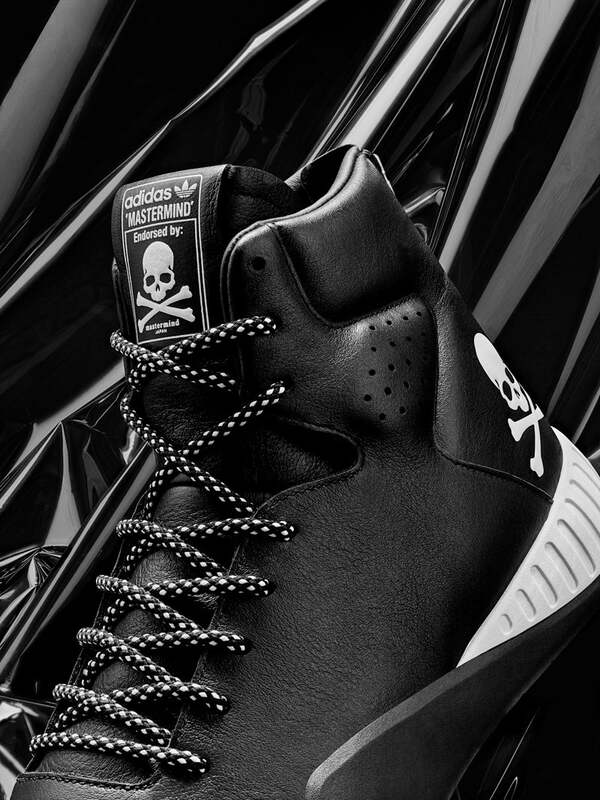 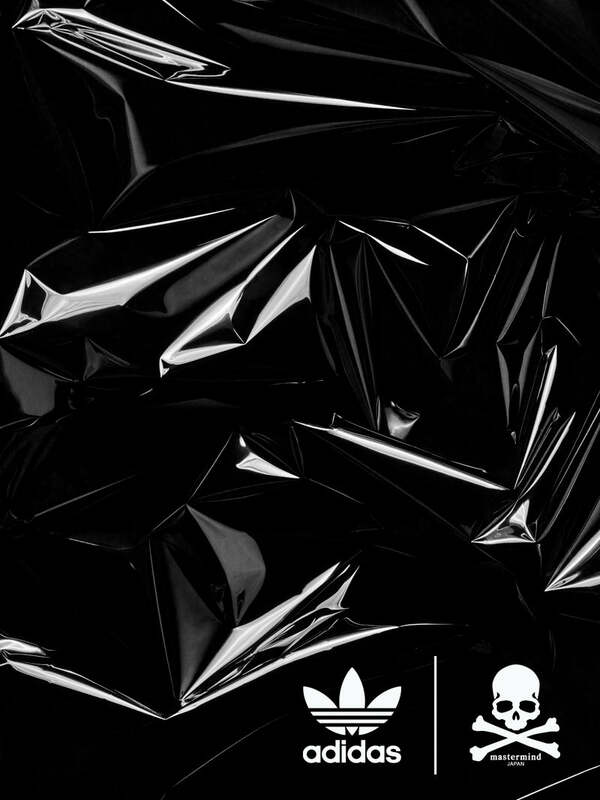 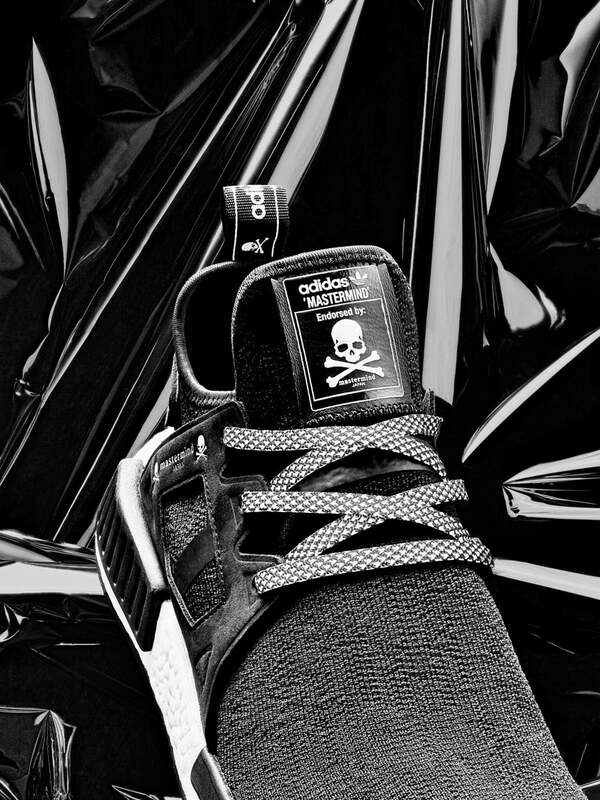 Each shoe incorporates Mastermind’s distinctive monotone colour palette and Skull & Crossbone motif into its design, creating a true symbiosis of two iconic brands. 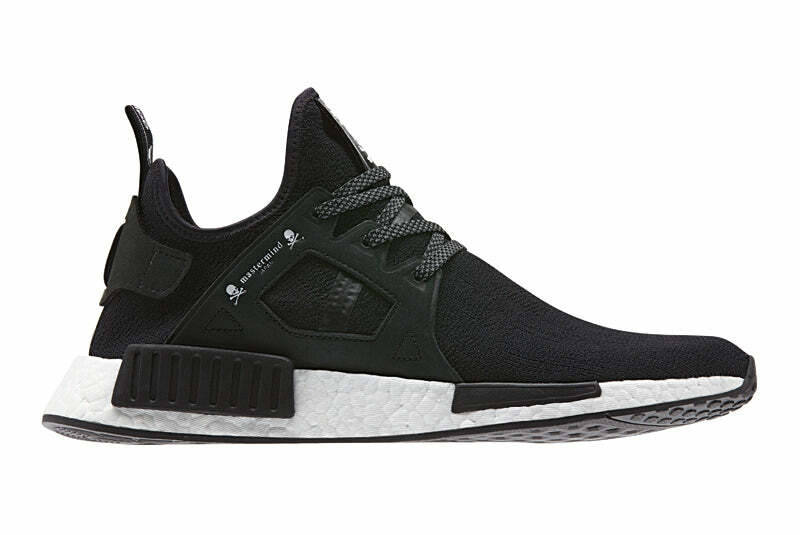 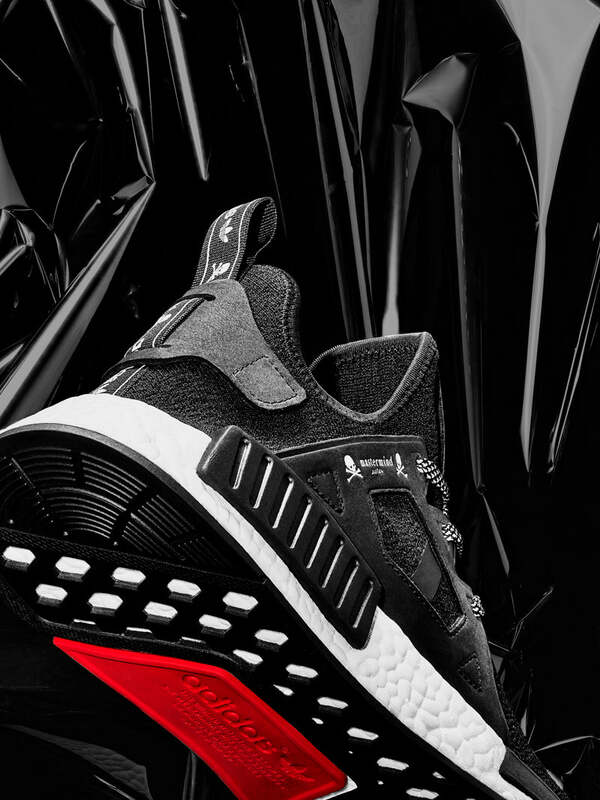 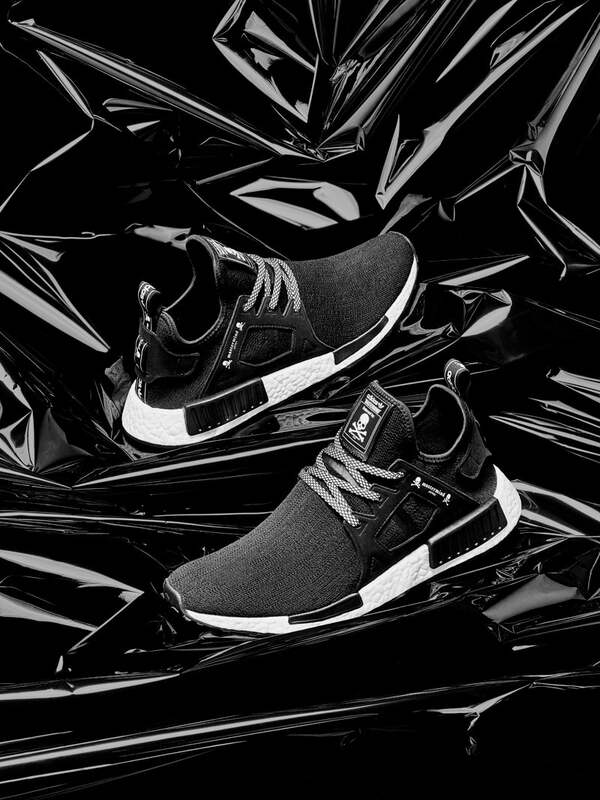 The first silhouette, the MMJ_NMD_XR1, sees 2016’s most groundbreaking silhouette, the NMD, reimagining in Mastermind’s uncompromised design language. 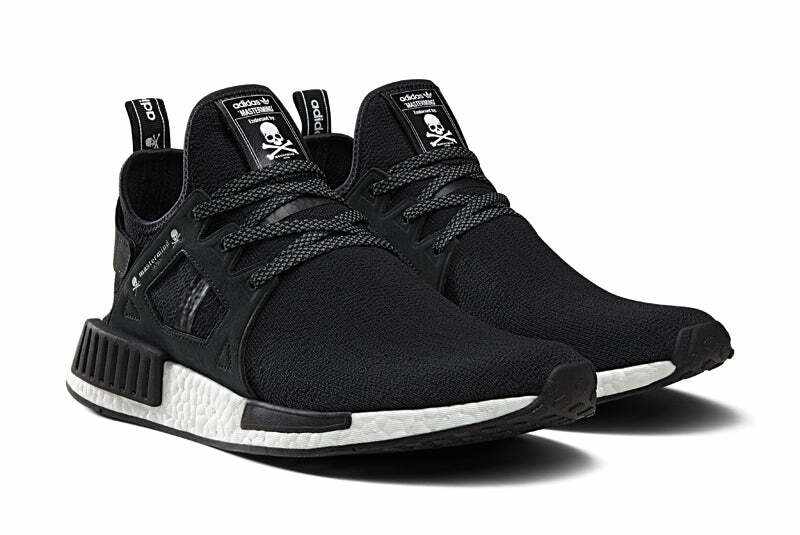 A pitch black colour palette is applied to the shoe’s knitted upper, structural overlays and EVA midsole plugs, countered by branding details on the insole, tongue and TPU cage atop a classic BOOST tooling and three sets of custom laces. 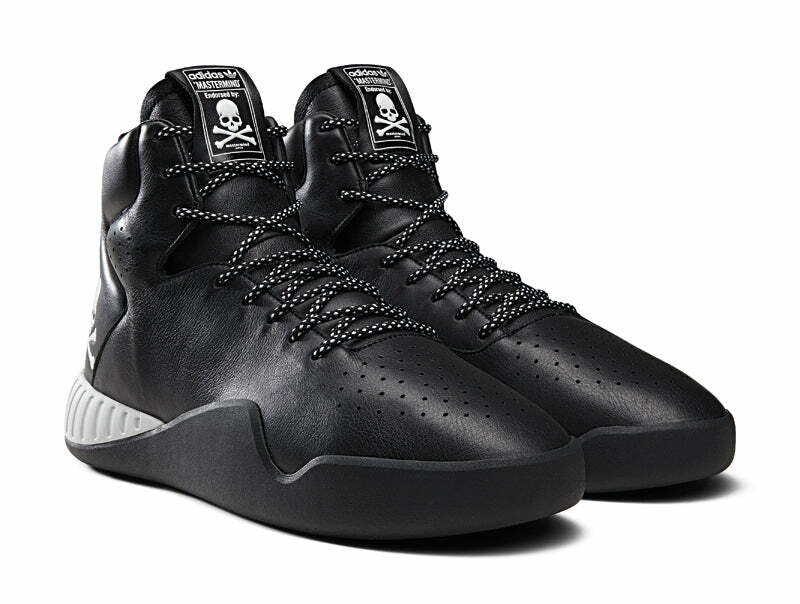 Accompanying the NMD, the MMJ_TUBULAR_INSTINCT translates the newest Tubular high-cut silhouette into the same monochromatic mode, featuring a blacked-out upper construction with essential Skull & Crossbone branding on the lateral heel. 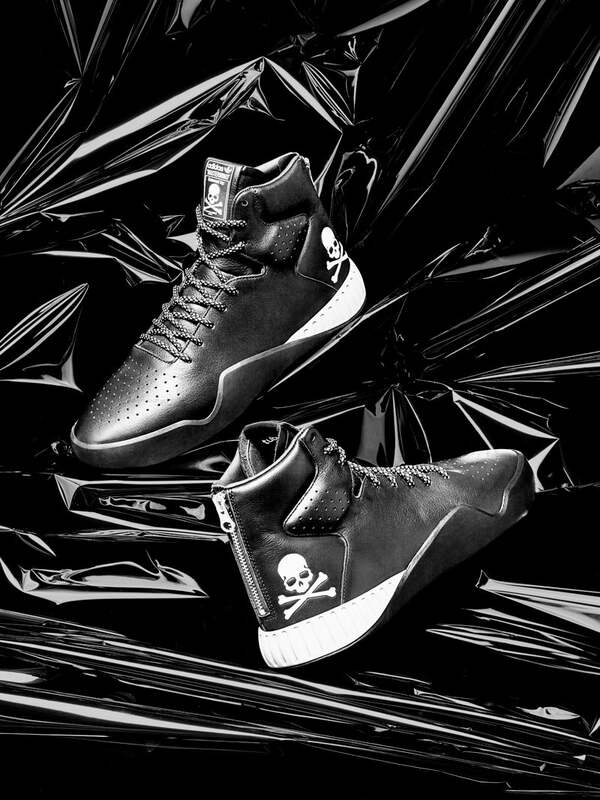 The shoe’s fluid split-layer midsole tooling receives a contrast white treatment on the heel, whilst a full zip closure down the heel transforms the progressive high-top model into a clean,high fashion context. 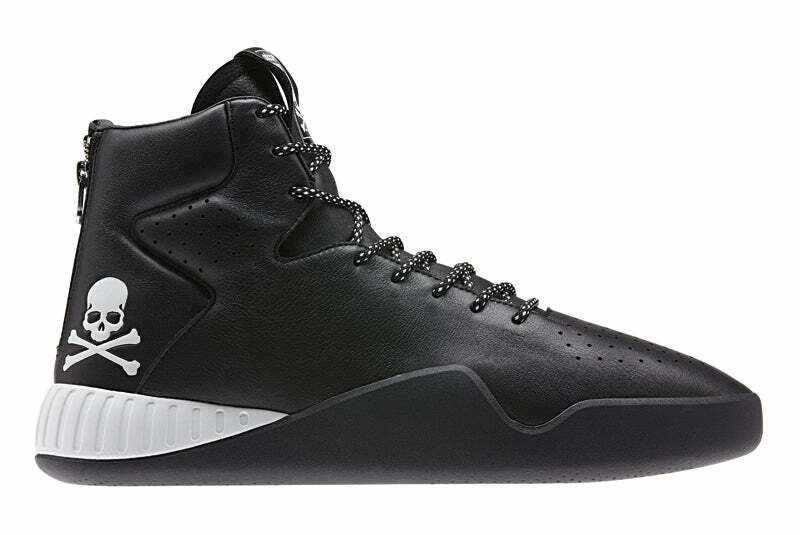 Joint branding on the insole and tongue completes the picture, creating a truly elevated Tubular silhouette.